Saving Gaia....save our Earth. It is everyone's duty to do so. 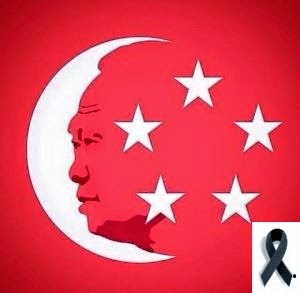 However small is Singapore, we are playing our part. The amount of harm we caused the Earth, we are killing it slowly. The above video is by courtesy of Singapore MediaCorp. I love the message, the song and the kid who sang the song. Kudos to all these kids...they are the "future"
We are pleading to you to give a little attention the our Earth. It is a place we all live on and our next generation and next generation and future generation will continue to live. Even if we are no longer around, we hope our decendants will live a happy and safe lives. It is still not too late. I am sharing this and hope whoever comes to my blog love this video too.